Australia's Prime Minister has condemned comments made by Turkey's President Recep Tayyip Erdogan in the wake of the Christchurch mass shootings as "reckless" and "highly offensive". Scott Morrison warned he would consider "all options" in reviewing ties with Turkey. 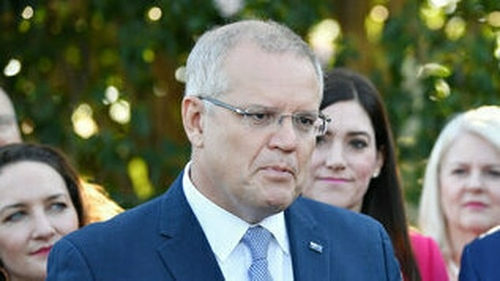 "Remarks have been made by the Turkish President Erdogan that I consider highly offensive to Australians, and highly reckless in this very sensitive environment," Mr Morrison said after summoning the Turkish ambassador and dismissing the "excuses" offered. Mr Erdogan, while campaigning for local elections, presented the New Zealand attack on Friday as part of an assault on Turkey and Islam. He warned anti-Muslim Australians would suffer the same fate as soldiers in the bloody battle of Gallipoli in World War I. Three Turkish nationals were wounded in the mass shootings at the two mosques in Christchurch. The accused gunman, a self-avowed white supremacist from Australia, live streamed much of the attack and spread a manifesto on social media claiming it was a strike against Muslim "invaders". "This is not an isolated event, it is something more organised," Mr Erdogan said during a campaign event on Monday in Canakkale in western Turkey. "They are testing us with the message they are sending us from New Zealand, 16,500km from here."